Anza provide world class businesses acceleration services to support Tanzanian businesses to grow. Capacity Building – Through our 8 month Anza Accelerator programme which provides business training, consulting and connecting businesses to international professionals. Access to Capital– Many businesses are unable to access loans due to the high interest rates or lack of collateral often required. Connect a Community – Kili Hub is the largest co-working space in Tanzania, bringing direct value to our network of businesses. 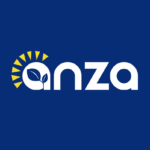 Cultivating Entrepreneurship – Going beyond consultation, Anza takes on an active role in building the entrepreneurial ecosystem.